Gather together your picnic baskets and blankets, sandwiches, water bottles, and, of course, teddy bears! While July 10th is officially National Teddy Bear Picnic Day, you can host a fun-themed picnic any time this summer. To prepare for your picnic, make these fun teddy bear themed crafts that your kiddos will surely enjoy! This teddy bear toast is the perfect snack to pack for a teddy bear picnic. It's healthy, yummy and absolutely adorable. Pack a picnic lunch in these adorable teddy bear bags. These make a simple and perfect party favor for a Paddington Bear-themed birthday party too! 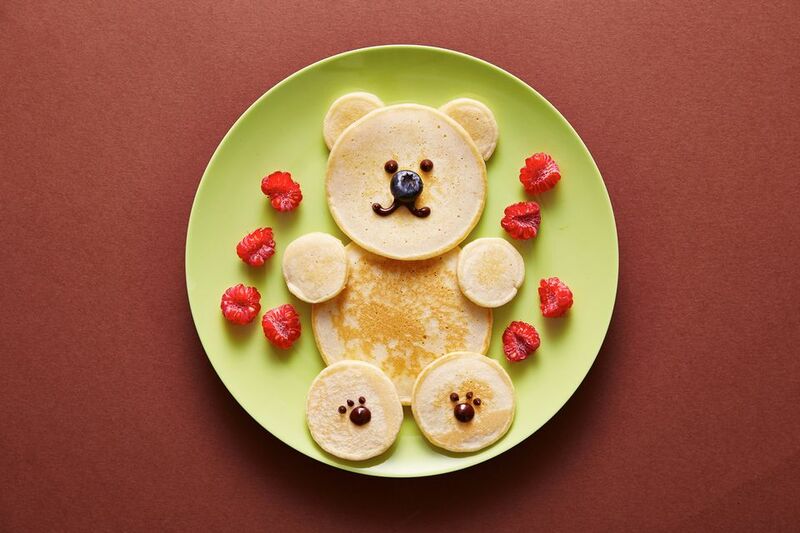 Grab a fork and some paint to create this bear craft for kids. We love how easy this craft is! Your kids are going to love it. Turn a paper plate into a bear mask. Kids can wear these masks to pretend they are a big brown bear. RAWR! This little printable will give your kids hours of playtime! It's easy to fold and make into a cootie catcher. Go on a make-believe bear hunt with this DIY map. Make binoculars to go along with the map and start searching for those bears! Use paper plates, brads and googly eyes to craft these teddy bears. This is an easy and simple project for children of all ages. Your kiddos will love this activity of "feeding the bear." It's a simple DIY that you can set up in minutes for lots of fun playtime.